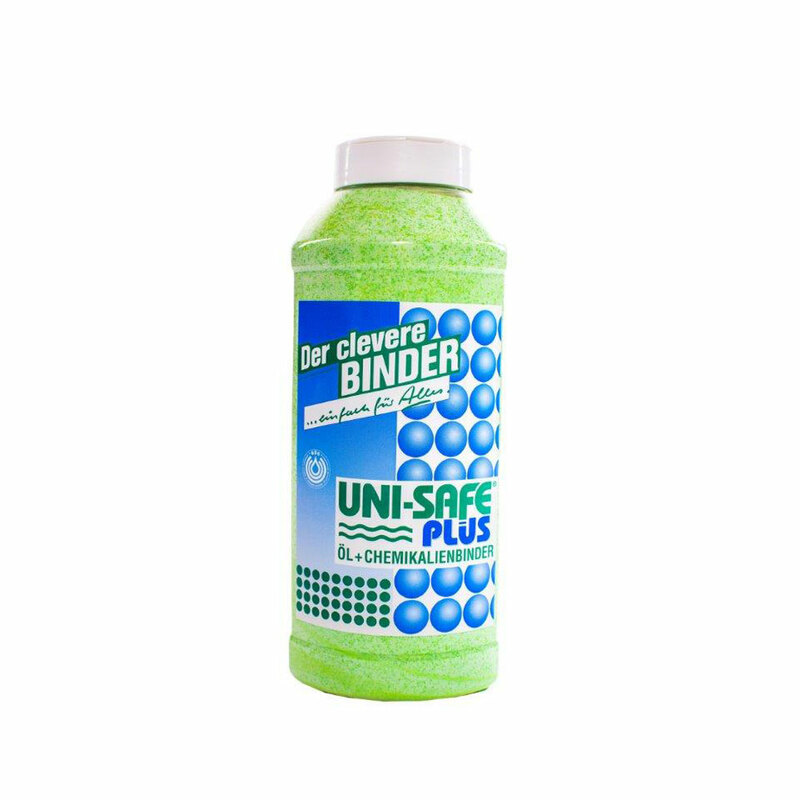 UNI-SAFE is a chemical and oil binding medium universally applicable to ALL liquids. UNISAFE is a mix of super absorbent polymers designed to work with different liquids. The main polymer rapidly absorbs any water based liquids, while the secondary polymer absorbs olefin materials (unsaturated hydrocarbons). It also contains a synthetic inorganic material which physically absorbs anhydrous substances by capillary action. Finally, a food colour with indicator effect gives the product its green colour and indicates whether it’s absorbing an acid (turns yellow) or alkaline (turn red/orange). Simply pour the UNI-SAFE PLUS onto a spilled liquid and the liquid rapidly turns into a gel. By pouring around the leading edge of the spill the gel will form a barrier to contain the spill. 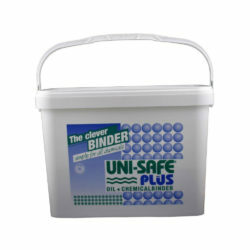 Once contained UNI-SAFE PLUS can be poured over the rest of the spill to bind it. When working with fuming chemicals such as fuming nitric acid, an additional layer of UNI-SAFE PLUS should be poured over the top of the spill to act as a ‘fume barrier’. Once your spill has been solidifified then you can scoop it up with a brush and pan.